We have a little bit of everything for you this week... enjoy! It’s that time again! Registration for our Winter Session starts on December 10th at 8 AM EST. Pick out your course and let us know if you have any questions. Buck just dropped a new project developed for PlayStation. It’s a fun retro-inspired look at classic PlayStation games. Also, PlayStation games are now retro… we’re getting old. Chris Anderson just dropped his 2018 reel and it’s...um… insane. His 2D work is some of the best in the biz. Here’s another video game inspired art project for you. The team at Wanella specialize in creating 8-bit inspired artwork that blends a dystopian future with mograph. Their tumbler page is full of incredibly inspiring work, but we totally think this style deserves its own TV show. The team at Elastic created this awesome title sequence for Ant-Man using Cinema 4D and Octane. We seriously thought those renders were plastic models. Martin Zivocky created this stellar music video for Boris Carloff in 360. Not bad considering it’s his ‘first experience’ with 360 video. This week’s alumni spotlight is Leigh Williamson. Leigh is a 3-time alumni who’s been developing his 3D work recently. Here’s his portfolio page and demo reel. 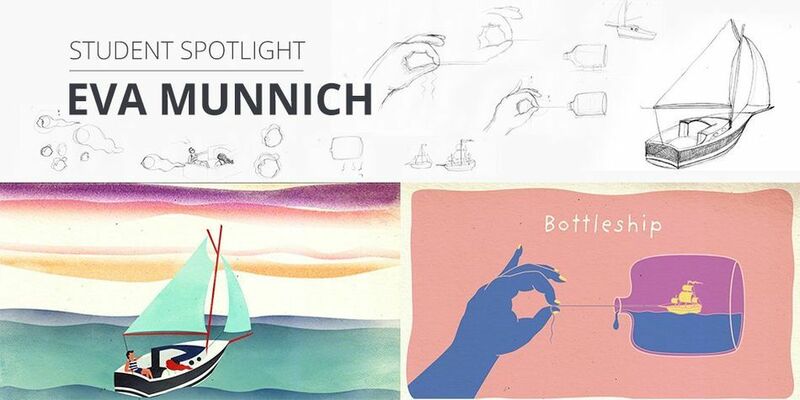 This week’s student spotlight is Eva Munnich. Eva is currently wrapping up her time in Explainer Camp, where she developed this awesome series of boards. Last week we put out a new tutorial with Morgan Williams on Duik vs Rubberhose. This is one of the most exciting content weeks we’ve had in a while. Today we’re going to drop an overview on using Creative Cloud Libraries in After Effects, we’ll take a look at how Beeple landed his Louis Vuitton fashion line (we’re dead serious), Sander van Dijk drops by the podcast to answer questions from the community, and we’re going to chat with an alumni about their experience in the professional world of motion design. Whew… lot’s of great stuff coming your way.